Have you ever dreamed of owning a house and turning it step by step into your home? In Room Makeover this dream became reality. You bought an old and cozy house but it needs some renovating before it is truly your place. Once you cleaned every room and fixed the broken stuff you will be surprised how much more welcoming this old house is. To make the rooms fit your needs and wishes even better you can finally change the furniture as well as the wallpapers. Now let's stop talking - take a sponge, a hammer and paint roller and get to work! 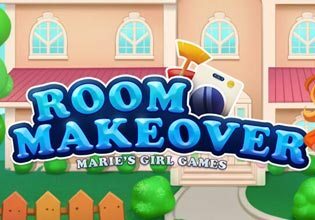 You can play Room Makeover for free!